It’s big bold and voluptuous! 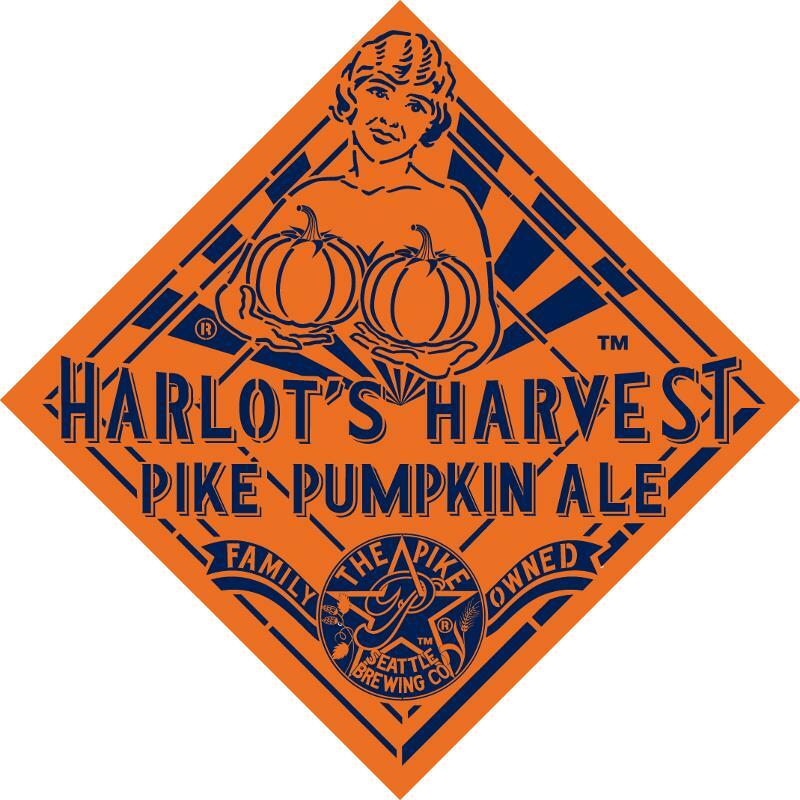 Pike Harlot’s Harvest reminds us that Pike Brewing was founded in a former brothel. Nellie’s girls who worked at The LaSalle Hotel were sometimes called harlots, though their best customers often affectionately called them “pumpkin”. Pike head brewer, Dean Mochizuki, created this extraordinary beer using a complex blend of rich and flavorful malts that include: organic pils, organic pale, special b, Vienna, organic caramel, and crystal. To take full advantage of the bounty of the season, Harlot’s Harvest is brewed with the finest Yakima Valley hops, including Nugget for both bitterness and aroma, and Mt. Hood for aroma; and organic pumpkin puree from Stahlbush Island Farms, Corvalis, Oregon and organic brown sugar. It is sensuously seasoned with cassia bark, allspice, vanilla bean, nutmeg, ginger and clove. On the palate Harlot’s Harvest is round and rich with a burst of caramel and molasses yielding a smooth sweetness reminiscent of pumpkin pie, and the boldness of a Belgian, monastic-style, strong dark ale. Savor it naked or clothed in the bounty of the season! To dress it appropriately, Charles Finkel designed the seductive label. The Pike Brewing Company is a family owned brewery located 1/2 block South of the entrance to the historic Pike Place Public Market. 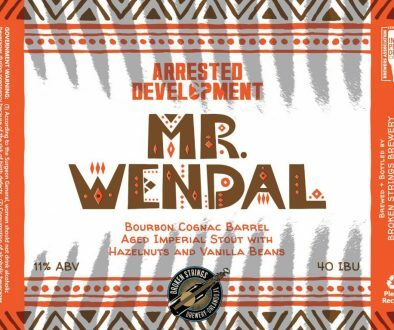 It is owned by Charles and Rose Ann Finkel who founded the brewery in 1989 in The LaSalle Hotel on Western Avenue, formerly Seattle’s most infamous Bawdy House. 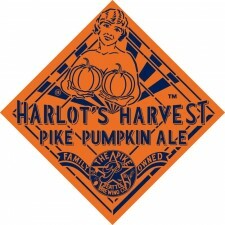 Pike commemorates the LaSalle’s colorful madam, Nellie Curtis, with our lightest beer, Naughty Nellie Organic Artisan Golden Ale, as well as with our richest, most full-bodied, and strongest beer, Old Bawdy Barley Wine, and now with the release of Harlot’s Harvest Pumpkin Ale, our most voluptuous ale. 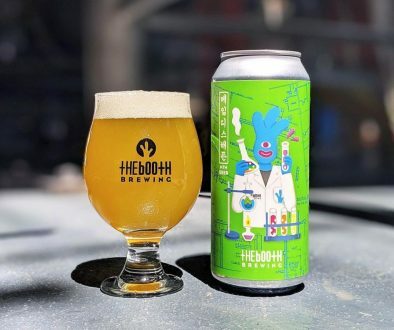 No-Li’s Jet Star Imperial IPA On The Launch Pad Hoppin Frog Releases ‘U.S. Meets Europe’ Collaboration To Celebrate 6 Years!